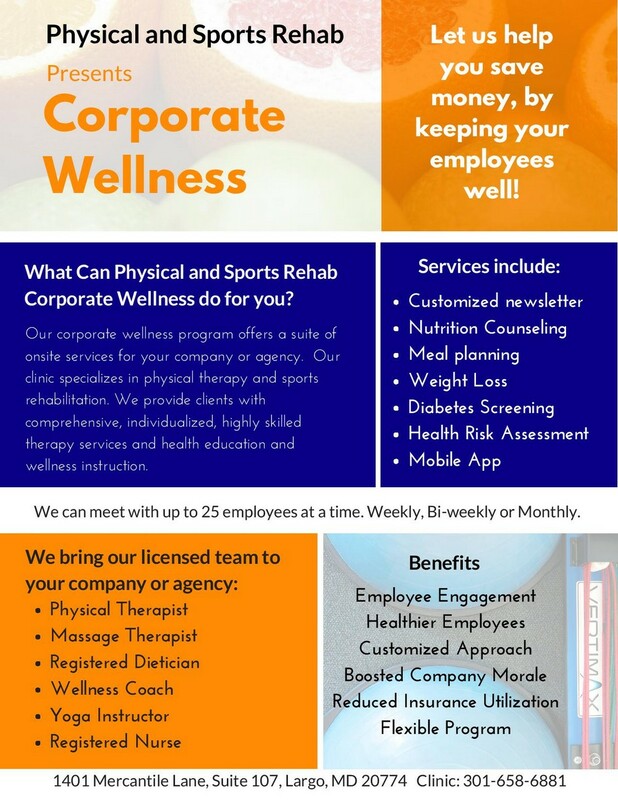 We are excited about the opportunity to provide a suite of health and wellness services to County agencies and local businesses. We come to you! We can customize a platform depending on the needs of the agency. We treat a maximum of 25 clients at a time. We can offer health education workshops, meal planning, weight loss guidance, and a host of other services to your staff or clientele. Please call our office for more information 301-658-6881.